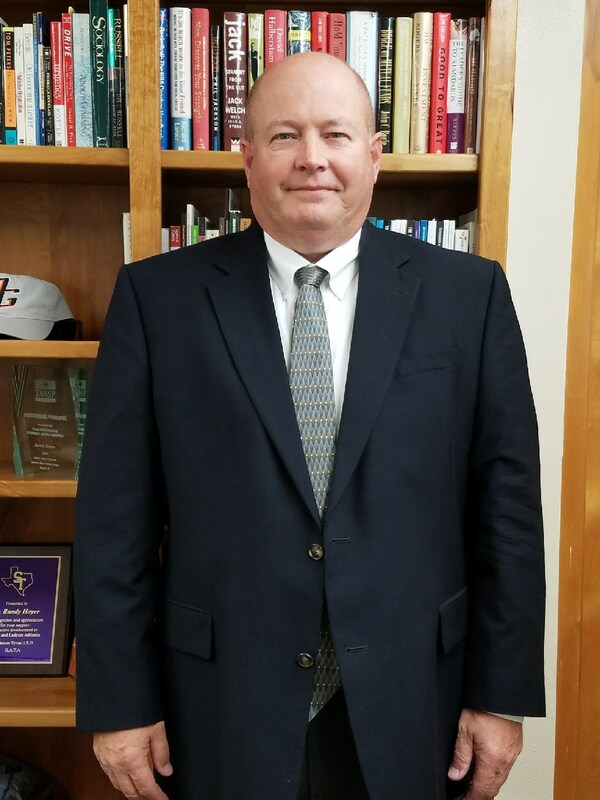 As the superintendent of Orange Grove ISD, it is a pleasure and an honor to serve in our school district where we work hard each day to make our schools a great place to teach, learn, and compete. Great things are ahead of us! OGISD continues to offer a broad range of opportunities for our students. It is a place to form relationships, learn new and beneficial things, and prepare for future endeavors. Our school district is also a place where students can feel safe and secure, where positive student behaviors are promoted and expected, and where learning and preparation are key ingredients in our success. Our focus will never change...improving levels of student achievement and enhancing the quality of the public school experience for each student. That is work we commit to every single day. And when we fail, I expect to hear from you. OGISD pledges to provide each student with the kind of educational experiences that promote individual growth and development. We continue to strive to build a student learner profile that not only demands excellence in all academic areas, but provides students with the opportunity to participate in a wide range of high-quality activities that includes athletics, music, agriculture, and FCCLA. Developing well-rounded young people is an incredible task, one that the employees of OGISD are ready to take on. On August 15, 2018, the Texas Education Agency (TEA) released a letter grade rating for our academic performance as a school district during the 2017-2018 school year. The grade earned was a B. The table below shows that the letter grade of B was attained by the highest number of school districts. A much smaller number of districts earned the letter grade of A. We want to earn an A and we will work even harder and smarter to earn that distinction. Individual campuses will receive letter grades beginning in August of 2019. Student Achievement measures what students know and can do by the end of the year. It includes results from state assessments across all subjects for all students, on both general and alternate assessments, College, Career, and Military Readiness (CCMR) indicators, like Advanced Placement (AP) and ACT results, and graduation rates. TEA further states that 70% of the accountability rating is based on the better of Student Achievement or Student Progress (whichever is better is the only performance measure counted in the calculations). The remaining 30% is based on performance in the Closing the Gaps area. To learn more about the A–F accountability system, visit https://tea.texas.gov/A-F/. The table below directs our attention to individual campuses in OGISD. Scores from the 2018 state assessments are provided. TEA also provided districts with campus scores from 2017 in order for us to compare levels of performance. Campuses received a score based on the three performance areas. Please refer back to the definitions listed above for student achievement, school progress, and closing the gaps. Note the high performance in the OGISD Elementary across all areas. Please visit TXschools.org to view online report cards designed to show how a school or the school district is doing in different performance areas. The report cards spotlight specific strengths, in addition to any challenges, that can assure the needs of all students are being met. We continue to be concerned about student safety and security not from within the school building, but from the outside. Acts of violence are present in our world and we cannot assume that it will never happen here. Rest assured that we have taken specific steps to improve our security measures within OGISD. Exterior doors will remain locked to the public and entry will likely take an additional moment or two for us to open the door for you to enter into the building. Please bear with us. Additionally, the school board has authorized administration to pursue safety devices for exterior doors at the high school, junior high, elementary and intermediate schools. During our August preparations for the start of school, all staff received “active shooter” training from the Jim Wells County Sheriff’s Department. This training further prepares all of us for an event where we will have to protect children. OGISD has a place for your student to shine! The work we do together can make this happen. Partnering with your child’s teachers is critically important. Communicating with those who are responsible for your child each day unites us in our effort to bring out the best in every student. Get involved and stay involved. It makes a difference.